I always associate September with new beginnings – maybe because I worked in a university for twenty years and September was always taken up with preparing for the influx of new students. Those days are behind me now but it still feels like 1 September is the best day to start a new blog. 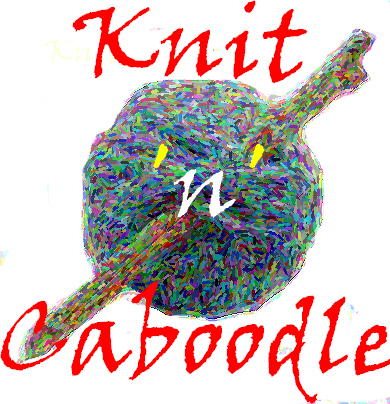 Welcome to the Knit ‘n’ Caboodle blog and thanks for dropping by. Best to start with brief introductions. I am half of Knit ‘n’ Caboodle – an on-line shop specialising in yarns for socks and other small projects – but am never sure whether I am Knit or Caboodle. My friend, Sue and I took over the company in 2010 – Sue was a keen customer of the original Knit ‘n’ Caboodle and, when she discovered it was due to close, approached me with the idea of taking it over from the first owner. Like many keen knitters, we both had a long-held dream of running a wool shop and, although we don’t yet have shop premises (never say never), a virtual shop is a great start. This last year has been a very steep learning curve and there have been a number of frustrations along the way but I have to say I’m loving it. Redundancy has now given me the opportunity to concentrate on Knit ‘n’ Caboodle full-time – giving proof to the old cliche that ‘as one door closes another opens’. The main drawback with an online shop is the lack of opportunity to chat with fellow-knitters – I love visiting other wool shops and, despite all the stock we’ve got, still rarely leave without buying more wool! I also love the conversations that happen there – on a recent visit to my favourite yarn shop in London, I recently overheard a young man asking for help to choose his first knitting project. He was a dental student and had been advised to take up knitting to help with manual dexterity. We’ve long been told about the benefits of knitting beyond the pleasure of producing something to use or wear – how it keeps your brain active, how it’s good for relaxation etc but now it seems that it can be good for your teeth too! What’s the etiquette for knitting in public?